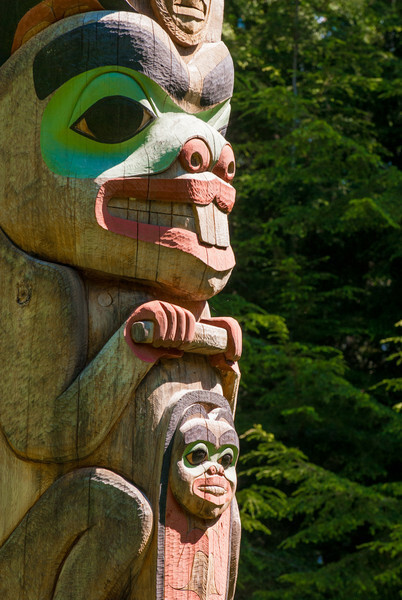 Center of a pole carved by Tlingit Tommy Joseph in 1999 to commemorate Chief K'aylaan, leader of the Tlingits, in the Tlingit/Russian battle in 1804. The pole is located on the site of the battle where the last major resistance of Native Americans to Russian dominance took place. The black raven's head at the bottom of the pole represents the helmet worn by the chief in that battle.